Finally, we here in Los Angeles have a break in the ridiculously hot previous few weeks. I thought I had become accustomed to triple digit temperatures, but really all I’m looking forward to rain, cooler temps, and some comfort food. 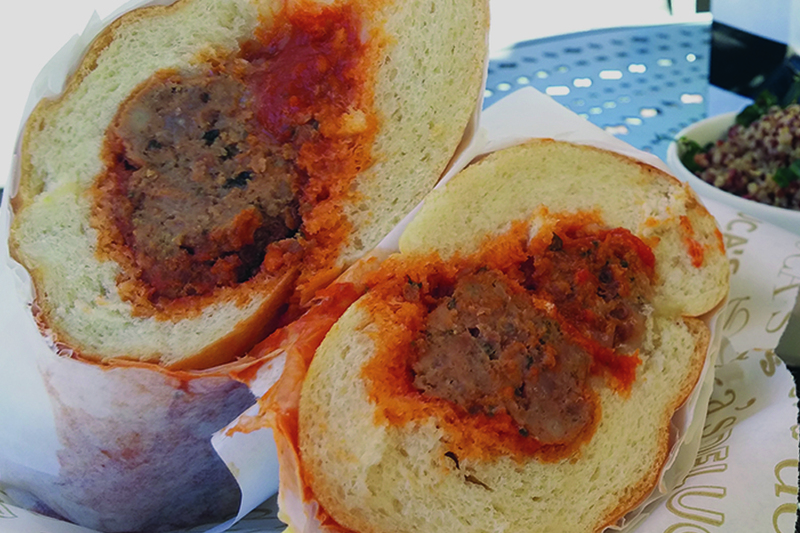 Speaking of which, there’s something enjoyable and comforting about a meatball sandwich. Something that calls up childhood dinners with meatballs cooking in a crockpot and placed into an Italian roll with heaps of sauce on top (gravy for you from Italian families). While shopping at the Americana in Glendale this weekend, I stopped at a place I had reviewed quite some time ago: Deluca’s Italian Deli, a small eatery tucked away in the shopping center. Deluca’s rotating specials menu is typically amazing, but today my eye was drawn to a more regular item, the Panino Alle Polpette, a meatball and Provolone cheese combo inside of a warm baguette. Sure, meatballs, cheese and bread is an easy enough combo. Anyone could mash some meat together put it in a roll and enjoy it. 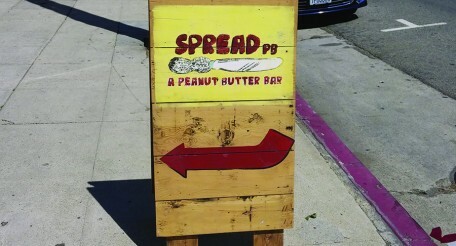 But that sort of simple sandwich needs an extra touch. A little something special to bring it all home. 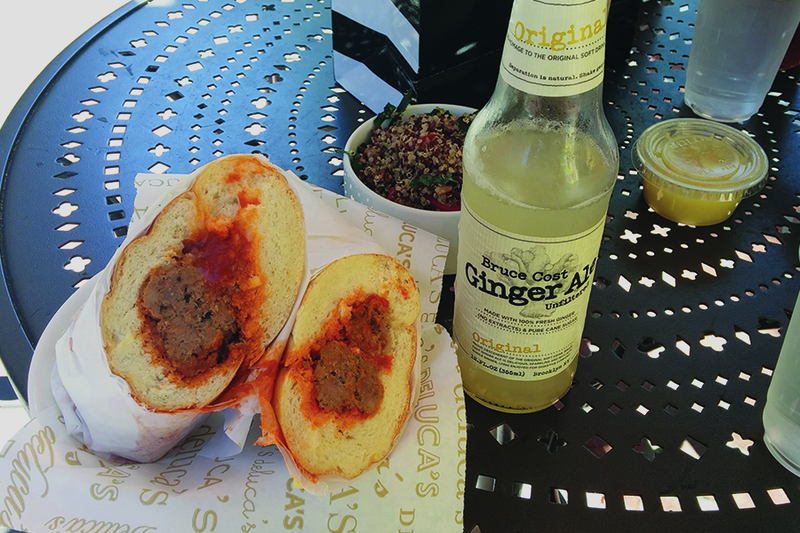 The light seasoning of the meatballs brought a great depth of flavor to the sandwich. They were held together and compact but incredibly juicy and tender. The light dose of mozzarella cheese add a light contrast in flavor that filled every bite, while the warm soft and fluffy baguette tied it all together, with a satisfying softness like a delicious pillow cradling these fantastic meatballs. I also grabbed an organic handcrafted Ginger Ale, which was delicious, and the amazing quinoa salad which took the meal to ANOTHER LEVEL. If you find yourself shopping at the Americana this fall, which I imagine some of you will as the holiday season eventually ramps up, definitely poke inside of Deluca’s to see what’s on the menu. Daily specials or menu regulars, either way you can’t go wrong.